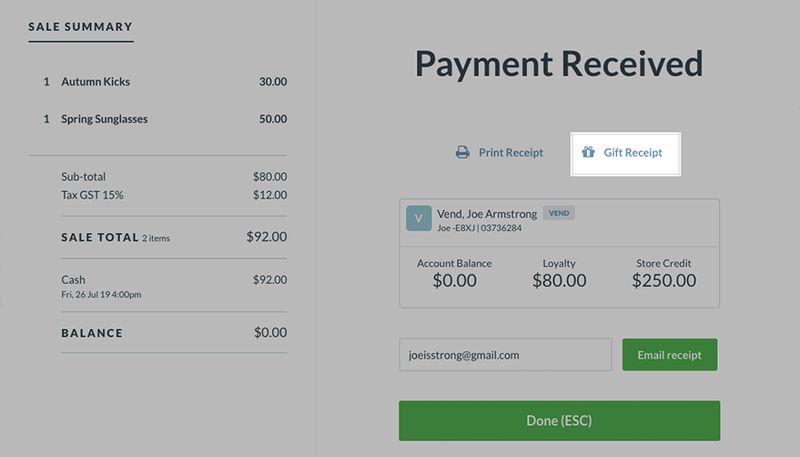 Gift Receipts in Vend for Mac and PC – How can we help? 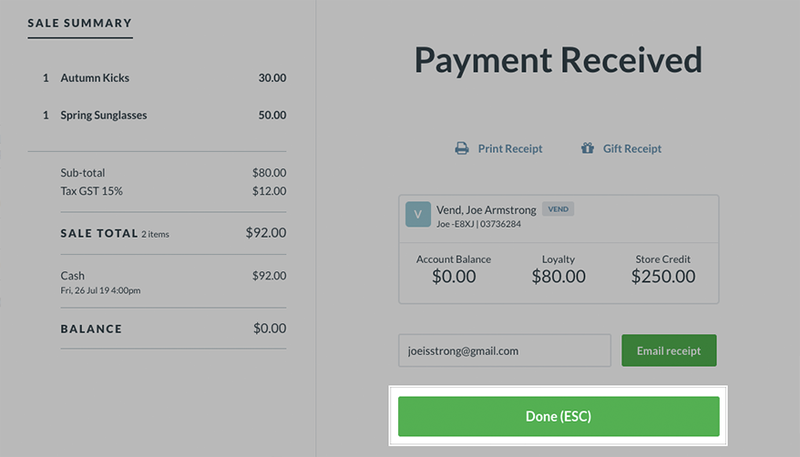 Important: These are instructions for printing Gift receipts on Vend for Mac and PC. For instructions on how to do this on Vend for iPad, click here. If your customer is purchasing your products as a gift for someone else you can print them a gift receipt. This gift receipt is a simplified version of the standard receipt that does not include any payment or loyalty information. 2. After taking payment for the sale, you will be taken to the 'Payment Complete' page. 3. Before clicking 'Done', select the 'Gift Receipt' button. 5. 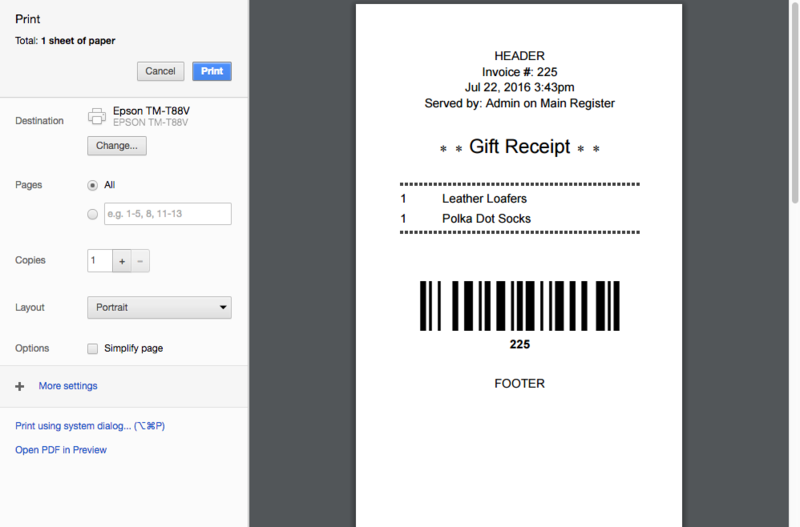 After you've printed the gift receipt, click 'Done' to complete the sale and print off a standard customer receipt.